At Rice Law Firm, we understand that criminal charges are stressful for our clients and their families. A criminal arrest or investigation can be very frightening, as can be the consequences and loss of rights that accompany a criminal conviction. Our criminal division has extensive experience defending the rights of people accused of criminal offenses. We represent clients in criminal proceedings in both state and federal courts. We have a detailed understanding of the courtroom, court procedures, trial practice, as well as the intricacies of pretrial discovery and motions, gained from years of experience handling criminal cases before judges and juries. 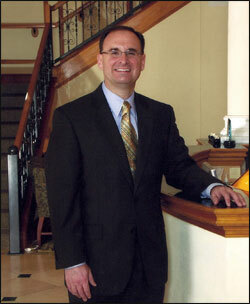 At Rice Law Firm, we have a commitment to providing superior legal representation at all times. Rice Law Firm will work aggressively to formulate the best defense for your case and to gain the most favorable outcome. Rice Law Firm defends clients against both state and federal criminal charges. There are many differences between a state and federal criminal case, so it is important to seek representation from an attorney who is knowledgeable and experienced in the type of crime with which you are charged. Whatever the offense, it is important that you contact us immediately. The sooner you call us, the sooner we can start protecting your rights and providing you with an aggressive and effective defense. We look forward to hearing from you. Please contact us through our web mail contact form, or through our main office number, (386) 257-1222. We understand that you may need our assistance after-hours or on the weekends, and in such situations, we can be reached at our after-hours number of (386) 255-2464. The following is a listing of the specialized areas covered. Click on the individual link for detailed iinformation for a specific area.